Reinstalling or updating Windows OS may ask for product key to activate. This product key finder can help locate and display the CD key for Windows 10/8/7/Vista, XP and Windows Service 2012(R2), 2008(R2), 2003(R2) computers. 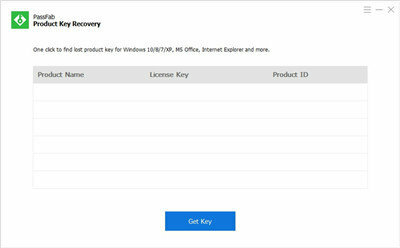 Lost Microsoft Office product key after system recovery? Cannot find product key on your computer? 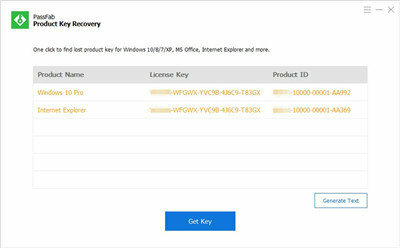 Without buying another new copy, you can now have Product Key Recovery to get back serial number for Office 2016, 2013, 2010, 2007, 2003 and earlier version products. This tool also covers a wide range of products: Microsoft Visual Studio including Visual Studio 2017, 2015, 2013, 2012, 2010, 2008, 2005 and earlier. One click only to generate all product keys of the installed commercial products. Even computer beginners can handle it. 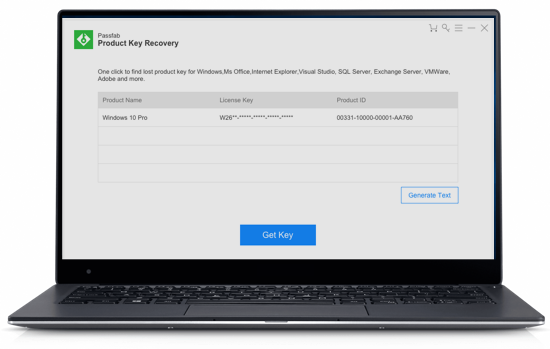 As long as you are using licensed products and have activated with authorized CD key or serial number, we promise 100% recovery rate for product keys. 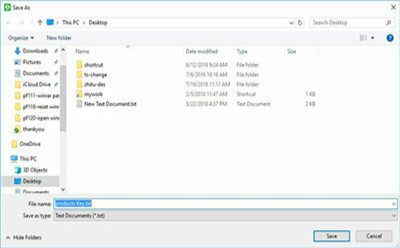 In case of you forget the found product keys later, you can always choose to export as text files for backup or print purpose. Product Key Recovery is not merely safe to download. We also guarantee the security of your product keys and will never take advantage of them for other use. "I can't remember my Windows 10 product key. I was recommended by my friend to use your software, I tried and found it work for me." "Thanks to this serial key recovery tool. Now I can continue use the full version of Microsoft Office 2019." "I think this is the best product key finder that I have used. It helps me find out my Adobe license key."